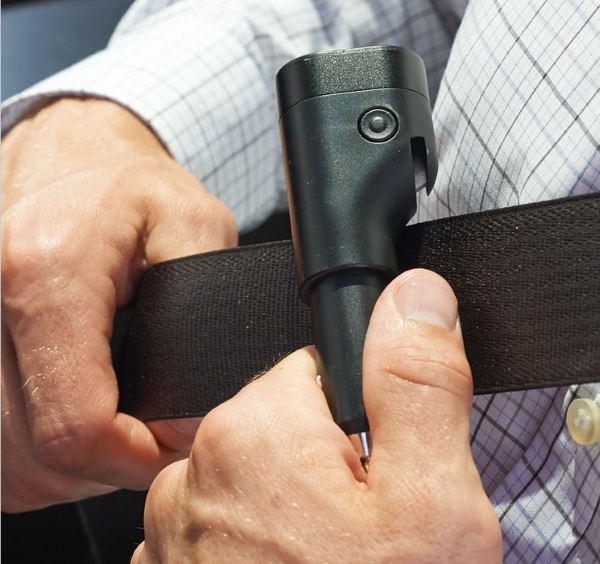 If you drive a lot, it’s good to have some safety gear along for the ride. If you’re ever in an accident and help can’t get to you quickly, the Smartphone Charging Automotive Emergency Escape Tool might save your life. 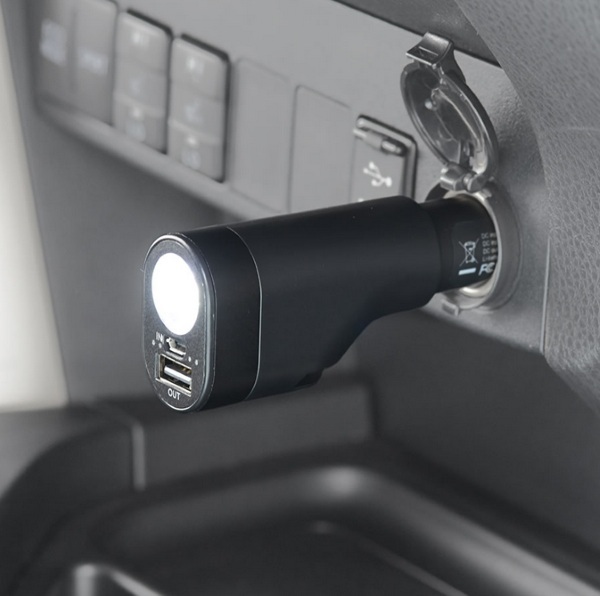 This device plugs into your car’s DC outlet and has a USB port that you can charge your phone from. That alone makes it pretty useful but that’s not all it does. There’s also a battery so that you can charge your phone when not connected to your car. Even though you’ll probably (if you’re lucky) only use this device to charge your smartphone, it has a few features that make it a great addition to your glovebox. In case you’re in an accident, there’s a razor built into the handle so you can cut your seatbelt as well as a metal pin to shatter your window if you need to escape the vehicle. If you happen to be somewhere with no signal, there’s a LED flashlight that can be used as a standard light or a distress signal. The Smartphone Charging Automotive Emergency Escape Tool is $49.95.